The Head of State, His Highness Tui Atua Tupua Tamasese Efi was a guest of honour at the ‘Aganuu Fa’asamoa 101’ programme, an innovative development funded by Pasifika Futures under the Whānau Ora programme. 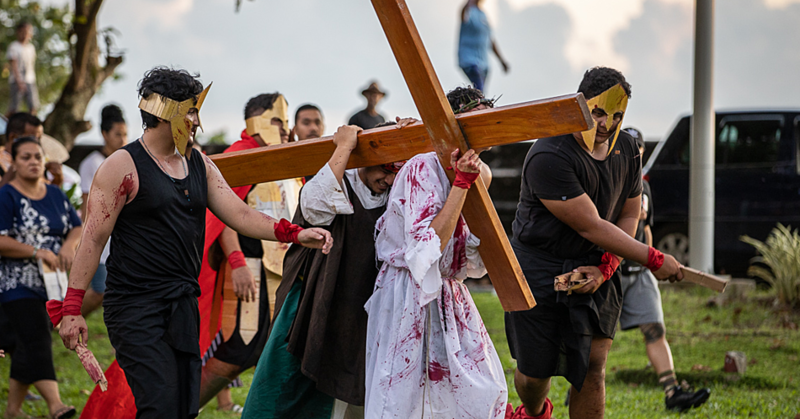 His Highness was among 54 Samoans, young and old, in Wellington at the Pacific Islanders’ Presbyterian Church Hall in Porirua two Saturdays ago. 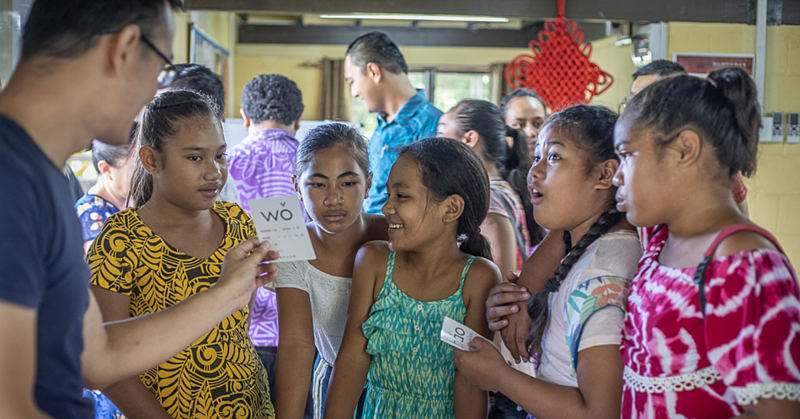 The Aganuu Samoa 101 programme is a step by step guide on culture, history and practise and is taught in English and Samoan. In his keynote speech, he emphasised the importance of language and culture and the responsibility of parents to teach their children the Samoan language and pass it on to future generations. 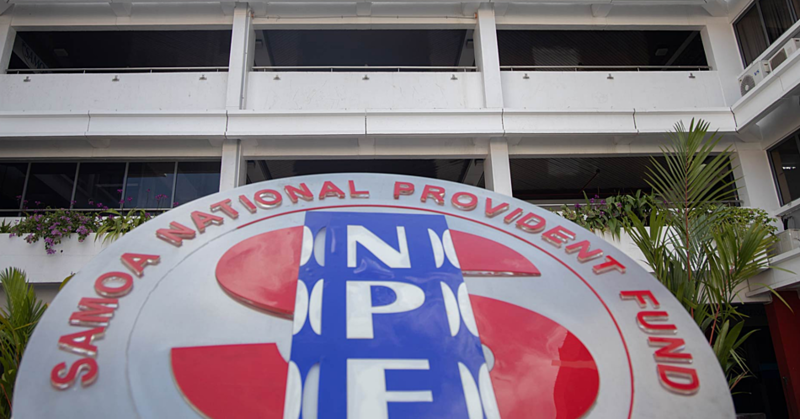 Director of Epiphany Pacific Trust, Tuu’u Mary Kalala Autagavaia says the programme was designed specifically to help support Samoan born and N.Z. born Samoans wanting to learn the Samoan culture and language. Among the graduates were sisters’ Fuatino Leaupepetele-Tuala and Analise Leaupepetele, who wowed the crowd with their speech, which illustrated Samoan traditions and culture, covering the honorific terms of salutations for all of Samoa. “I was really nervous and scared that I might muck up and go all red” says Fuatino. Fuantino and Analise’s father Galuemalemana Iele Leaupepetele from the village of Faleasi’u in Samoa had tears of joy. “There is nothing more rewarding in life than hearing your children speak in my native tongue,” says Galumalemana. The Tau family in Porirua also took part in a week long programme. Mrs Tau highly recommends the course to other families, in particular NZ-born Samoan children, who are willing to understand Samoan culture and practice. She says it’s a fantastic programme and it’s a blessing that her children can take part in it, and she still sheds a few tears when she recounts how proud she is as a mother to see her children finally being able to learn what hadn’t been passed on to them. Mafutaga says having all of them attending the programme is their way of learning and understanding their parent’s heritage. 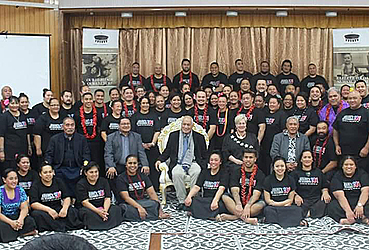 The Tau family, were among many others benefitted from a week-long programme aimed at Samoans who want to learn more about their identity and culture. Since its establishment, Aganuu Samoa has graduated more than 1,200 students throughout the region. Many of these graduates are NZ-born Samoans. There is also planning for renowned Samoan tattooist Su’a Alaiva’a Petelo Suluape to visit Auckland at the end of October to tattoo 30 of Epiphany Pacific Trust’s students, in conjunction with workshops on the history and meaning of the Samoan tattoo.